When the price of debt rises, Wall Street gets nervous about the economic repercussions. 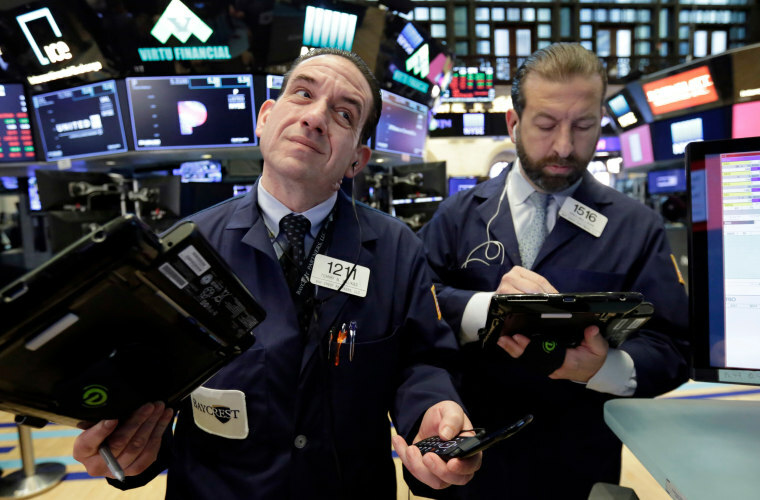 As the interest on a 10-year Treasury bond briefly touched the symbolically significant threshold of 3 percent on Tuesday, market analysts and average investors alike wondered, what’s next? “Wall Street looks at it as a symbolic benchmark,” said Joseph Heider, president of Cirrus Wealth Management. The stock market’s recent wild ride has been blamed on several factors, but an enduring culprit is bond yields. “On February 2, when yields touched 2.9 percent, that sparked a dramatic stock market selloff,” said Mitchell Goldberg, president of ClientFirst Strategy. Borrowing rates for consumers and corporations could rise. What kind of impact will that have on the economy? That’s because this rate is a benchmark for a whole range of other borrowing rates, and when the price of acquiring or servicing debt rises, the investment community gets nervous about the economic repercussions. “The concerns are that… borrowing rates for both consumers and corporations are going to rise. What kind of impact will that have on both consumers as well as the earnings of companies?” Heider said. “I think if you ask most people what’s the yield on a 10-year Treasury, they’re not going to know… but most people probably know what their mortgage rate is, their home equity line of credit is and what their credit card rate is,” Goldberg said. “They know the rates that are important to them, but almost every rate that we pay stems from the 10-year Treasury rate,” he said. From the perspective of your portfolio, investing pros emphasized that there’s no practical difference between the increase from 2.9 to 3 percent than there is for a move from 2.8 to 2.9 percent, or from 3 to 3.1 percent. “By human nature, we like to anchor to certain round numbers,” said Steven Elwell, partner and vice president at Level Financial Advisors. “It’s a nice round number, so it’s easy to talk about,” he said. When it comes to your portfolio, investment pros say the most important thing is not to make any knee-jerk responses. “You should never make a wholesale change,” based on an arbitrary number, said George Kiraly Jr., founder of LodeStar Advisory Group, LLC. “Never make any changes during an event,” he said. “If you haven’t done anything, you’re probably better off tweaking your portfolio in a minor way,” he said, by dialing back any overexposure into riskier asset classes that can occur in a long-running bull market. Heider echoed this observation, emphasizing that big moves during market volatility can be detrimental. “If you have a disciplined approach to your investing, you should stay the course and not panic. However, if your equity exposure has risen dramatically, this is a good time to look at potentially taking some profits off the table since nobody knows how the markets will react,” he said. And Elwell pointed out a silver lining to rising rates. “Rising interest rates for savers is probably good news,” he said. Goldberg said it’s important not to look at interest rates in a vacuum. A strong earnings climate bolsters investor sentiment and — so far, at least — has sustained the market at large. “If we have good economic growth and rising interest rates, that’s OK. If we have bad economic growth and rising interest rates, then I think we might be looking to sell off a bit,” Frisch said.